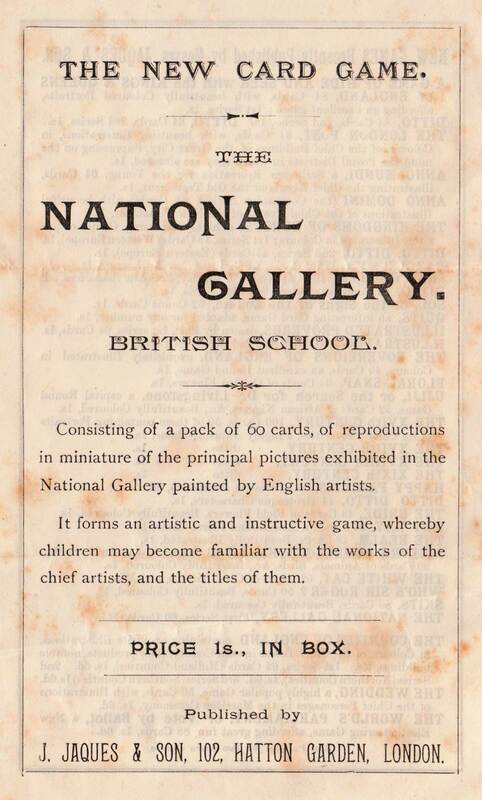 John Jaques and Son's The National Gallery (British School) Card Game, c.1895. Above: Jaques' The National Gallery (British School) Card Game, c.1895. Described as 'A New Game' the set also contains the rules. The cards are printed in black & white only with a plain-coloured reverse. Square corners.